This changes everything. We’ve known for some time that DISH was planning a streaming service and they announced it in a special pre-CES press release. It’s still not final but we’re getting a very good idea what we’ll be seeing when it launches later this year. 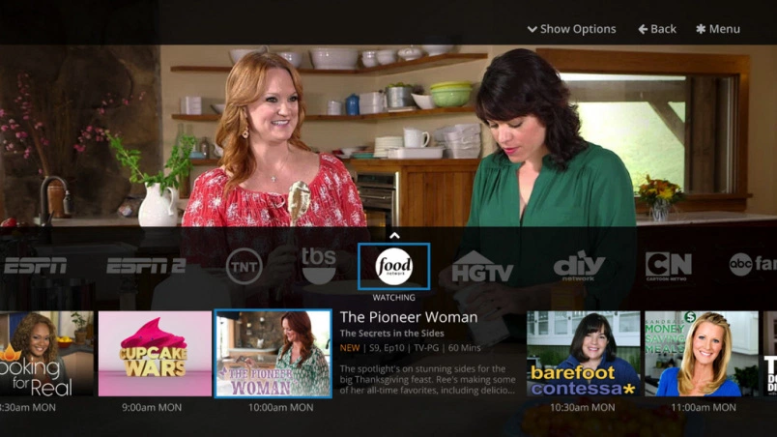 Called Sling TV, it will both replace and augment DISH’s current streaming service, formerly called DISHWorld. For $20 per month, you’ll get live streaming from ESPN, ESPN2, Disney Channel, ABC Family, Food Network, HGTV, Travel Channel, TNT, CNN, TBS, Cartoon Network and Adult Swim. The service runs on Roku hardware, probably just the more expensive Roku 3, but that means that one box gives you all the channels above, plus Netflix, Hulu, HBO GO (when it launches as a standalone service) and hundreds of other content channels, all with a single search system. Sling TV will also have other content but DISH hasn’t said what it will be. We expect there to be other channels from the “basic” tiers, but probably no broadcast channels. Content from broadcast channels could come from an antenna or through Hulu or CBS’ streaming service. Either way, it would all flow through a single hockey-puck sized box. The real big takeaway is that DISH has the two biggest “gets” in the pay-TV universe. ESPN and HGTV together comprise the most demanded live program sources and they’re two of the three channels that have kept people tethered to pay-TV for many years (the other being HBO.) With all three channels available without a pay-TV subscription, many people will be looking to build a cord-cutter bundle that deeply undercuts what they’d pay for cable or satellite. There would be fewer channels of course, but with broadcast TV covered by an antenna, Hulu, and CBS’ app and the SlingTV service covering other popular live TV, it’s possible to pay $40 for the top channels out there. Add another $25-ish for HBO Go and you’ve got a ton of premium content for less than most cable companies charge for basic cable. With the economy being pretty good right now, DISH may not get a massive number of customers for its service right away. People will still want some of those other channels that might not be available on Sling TV quite yet, and of course the whole thing’s dependent on you having a very serviceable internet connection. Still, DISH will keep improving it, and there will be a time when people really want to hunt for bargains in their TV-watching experience, and when they do, Sling TV will be ready. Our blog team will be on the ground tomorrow at CES and we’ll let you know what we see!